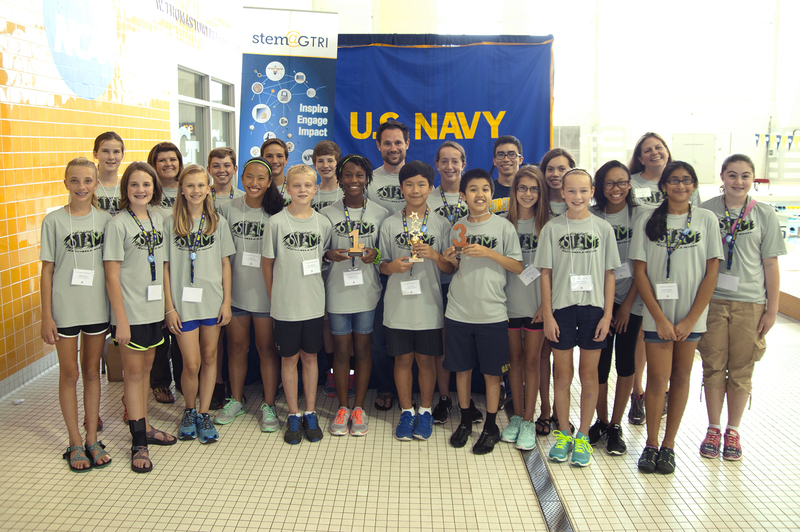 More than 140 students from six metro-area counties participated in the GTRI-Navy STEM Summit and SeaPerch Competition held at the Georgia Tech Aquatics Center on Thursday, Sept. 10, 2015. 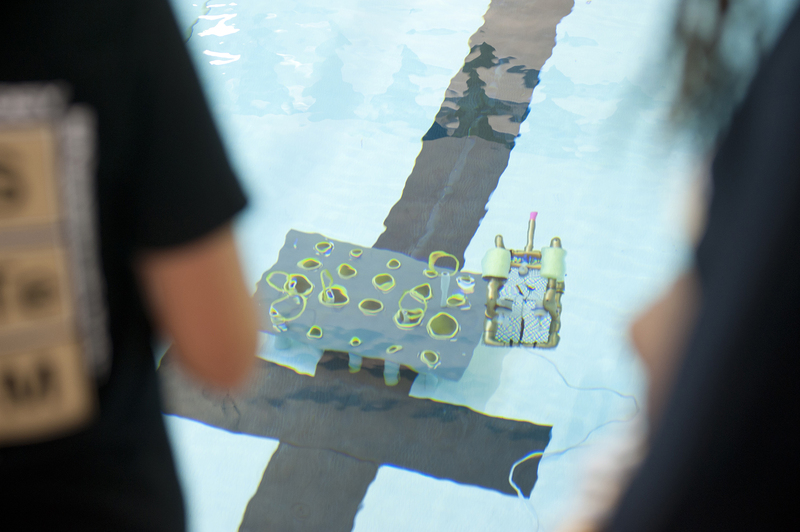 Participants spent three months building and perfecting their ROVs after receiving their SeaPerch kits. 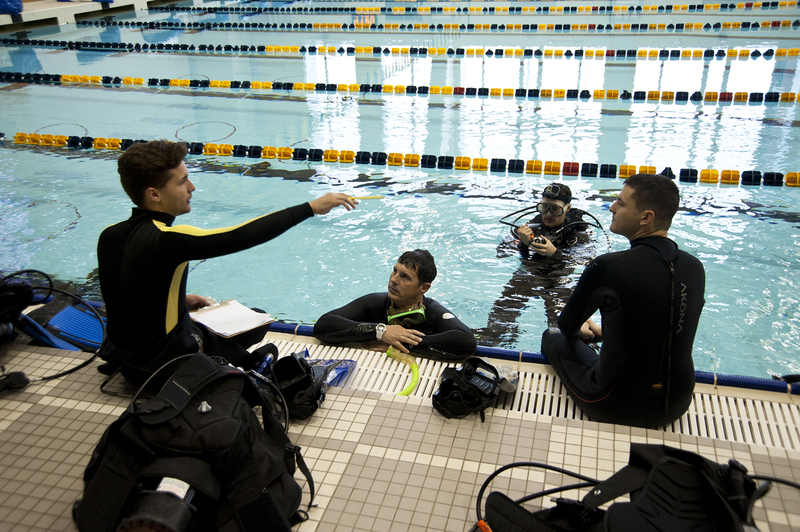 During the competition, the teams from the different schools completed a series of tasks and raced their vehicles in the Georgia Tech pool. Teams participated in two competitions—the Poster Competition and the Pool Competition. Organizers presented first- through third-place awards in both categories, with one Grand Champion named at the conclusion. J.C. Booth Middle School won the overall Grand Champion award, third place in the Pool Competition and first place in the Poster Competition. Twin Rivers won second place in both the Poster and Pool competitions, and Campbell won first in the Pool Competition and third in the Poster Competition. STEM@GTRI’s mandate includes engaging students in all aspects of STEM education and providing teachers with the professional development needed to enhance their schools’ curricula. In addition to hosting the students, nearly 87 GTRI, Georgia Tech and Navy personnel supported the event through volunteering or working, and 29 parents, grandparents and chaperones were on-hand to aid in the competition. Students also were introduced to several of GTRI’s STEM outreach “road kits,” portable science experiments that are available for parents and employees to take to schools for demonstrations. The Campus Recreation Center’s main hallway set the stage for several physics and chemistry experiments. Experiments included an acoustics demonstration, an investigation of vacuum physics, angular momentum and a materials/polymer demonstration, where students were able to take home colored slime they made. GTRI researchers showed the explosive results when 15 liters of hot water joins 25 liters of very cold liquid nitrogen. A water vapor cloud 20 feet high settled over the pool deck as a result. Through its STEM outreach, GTRI has engaged with 25 school systems, reached more than 9,000 students with special events, supported 2,618 participants in sustained engagements and hosted 21 Technology Association of Georgia Education Collaborative (TAG-Ed) interns in summer 2015. 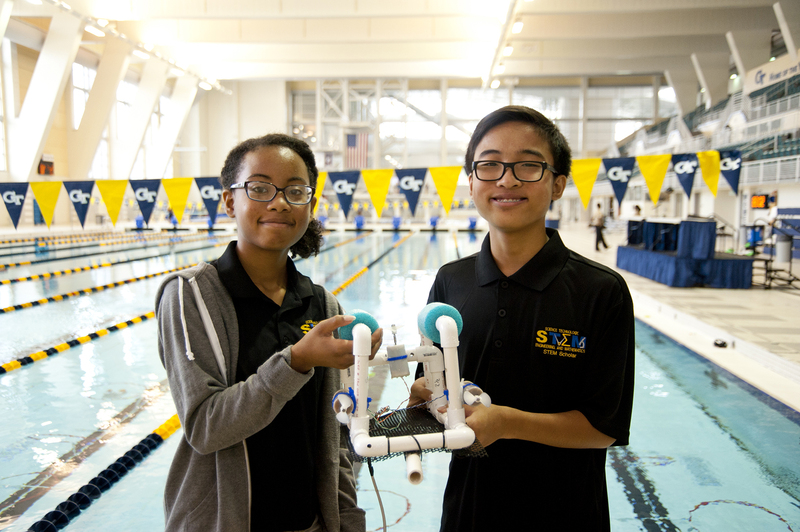 More than 1,500 students, teachers, coaches and other participants will attend the 7th National SeaPerch Underwater Robotics Championships hosted by GTRI. More than 100 Metro Atlanta students, teachers, parents and volunteers gathered at the Georgia Tech Campus Recreation Center earlier this month for the finale of a competition that combines STEM education and baseball. The Georgia Tech Research Institute hosted several high school groups as they toured Georgia Tech robotics exhibits during Georgia Tech’s Robotics Demo Day.